Supreme Court in a short order on Monday has given an important clarification that living together for a long time as husband and wife, though never married, there would be a presumption of marriage and the law would presume that the two were married if they "lived like husband and wife" for a long period and had children. A bench of Justices B S Chauhan and J Chelameswar was hearing a petition filed by advocate Uday Gupta, who had challenged certain observations made by the Madras high court in Aysha v. Ozir Hassan while dealing with the issue of live-in relationships. 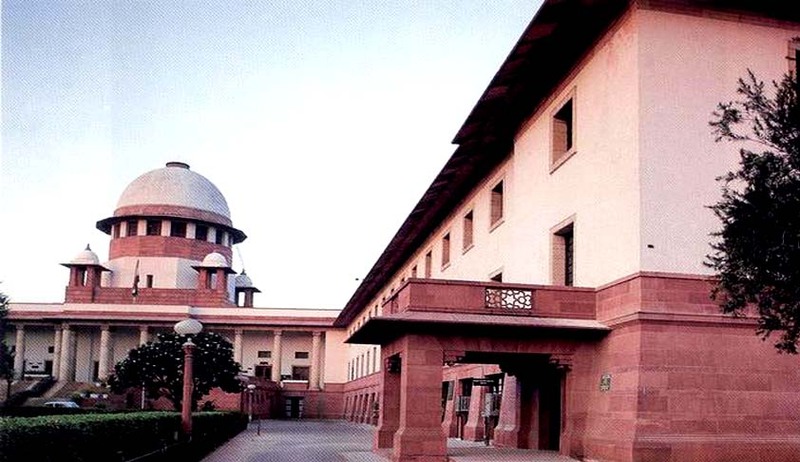 Petitioner had challenged the HC's observation that "a valid marriage does not necessarily mean that all the customary rights pertaining to the married couple are to be followed and subsequently solemnized". Aysha V. Ozir Hassan aroused out from a maintenance petition by a lady against her husband. The respondent stated that the first petitioner is not his wife and she is aged about 35 years and a lady of dubious character and has denied the existence of marriage between them. Justice Karnan had observed that both the petitioner and the respondent lived together as spouses and begot two children without legal encumbrance or third party interference or without affecting third party's rights. He ruled out that there is no illegitimate relationship arising in this case. Marriage solemnization is only a customary right and obligation, but not a mandatory one and hence the Court treated the petitioner and the respondent as spouses in normal life with a typical identity of their own. Before the Supreme Court, Counsel for the petitioner M R Calla has sought, before the Supreme Court, deletion of the HC's observations terming them as untenable in law as the petitioner apprehended that these remarks could demolish the very institution of marriage. The bench went through the judgment and said the HC's observations could not be construed as a precedent for other cases and would be confined to the case in which these were made. “what the HC wanted to say is that if a man and woman are living together for a long time as husband and wife, though never married, there would a presumption of marriage and their children could not be called illegitimate." Bench said. “It is not disputed that the petitioner has been a spinster before she gave birth and that the respondent was a bachelor before developing sexual relationship with the petitioner. Both of them led their marital life under the same shelter and begot two children. Therefore, the petitioner's rank has been elevated as the 'wife' of the respondent and likewise the respondent's rank had been elevated as the 'husband' of the petitioner. Therefore, the children born to them are 'legitimate' children and the petitioner is the 'legitimate' wife of the respondent. This Court is of the view that if a woman aged 18 or above has a sexual relationship with a man, aged 21 or above, and during the course of such relationship, if the woman becomes pregnant, she would henceforth be treated as the 'wife' and the man would be treated as the 'husband'. Even if the girl does not become pregnant after having such sexual relationship with a man but if there is strong documentary evidence to show the existence of such relationship then also the couple involved in such acts would be termed as "wife" and "husband". “That the main legal aspect for valid marriage viz., consummation between both spouses has happened even before the formalities. Therefore, in the instant case, the point is elaborately explained. If the consummation has taken place between the spouses (bachelors and spinsters) then from that time onwards both are declared husband and wife. This declaration will not be prejudicial to either party. This Court's further view is that this declaration would strengthen the Indian Culture and would protect the young women’s welfare, character and status among the society. This pertinent view of this Court is in order to protect Women’s Civil Rights and personal life”. “This Court further opines that it is an appropriate time to prevent the Indian Culture from deteriorating further when it comes to living honestly as spouses. It is an imperative need that the morals and ethics of Indian Culture is taken to the next level and maintained so as to never slander the life of an innocent woman. Finally and most importantly the Courts do give paramount importance to the customs and rights to every religion so long as it remains in tandem with civil rights that are controlled by the Courts”. Holding that the observations made by the High Court in Aysha v. Ozir Hassan are restricted to the facts of that case and do not lay down the law of universal application, Court disposed off the petition.